Ash are common across the Lake Superior region. Three species occur across most or all of the ceded territory: aagimaak or black ash, emikwaansaak or green ash, and baapaagimaak or white ash. Together these trees make up as much as 20-40% of the forests of the Midwest. All true ash trees have compound leaves and opposite leaves and branches. They also have more-or-less paddle-shaped seeds, with flattened edges that help them travel on the wind or across the surface of crusty snow or open water. The bark of larger saplings and mature green and white ash is narrowly furrowed. Large, mature black ash trees have narrowly furrowed bark too, but younger trees have flaky, grayish bark. 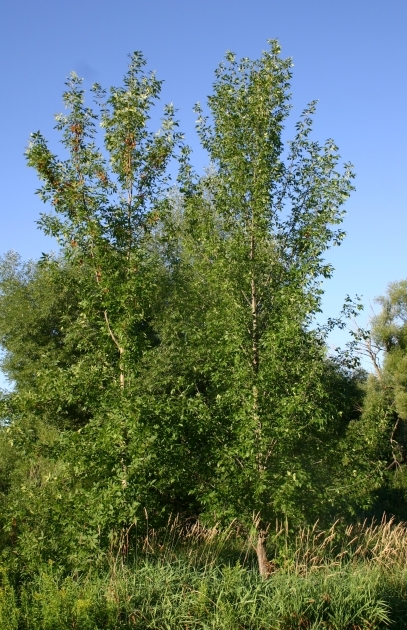 Individual ash trees are functionally either male or female. Baapaagimaak usually occurs on land that's wet, at least during spring and early summer. It is often the dominant tree of northern hardwood swamps, often appropriately referred to as "black ash swamps". It also can be found in mixed swamp forest with giizhikaandag (cedar), mashkiigwaatig (tamarack), and gaawaandag and gaagaagiwanzh (white and black spruce, respectively). Baapaagimaak can sometimes be found on floodplains, though it is intolerant of late-season flooding. Baapaagimaak occasionally occurs in moist upland hardwood stands as well, especially in areas with clay soils. Leaflets attached directly to stem, often with a patch of fine reddish hair between them. Emikwaansaak is typically found along wetland edges, lakeshores and floodplains, but sometimes occurs in moist upland hardwood forests as well. It is tolerant of occasional flooding during the growing season (such as on floodplains) but is much less tolerant of mucky, anaerobic (low-oxygen) soils than aagimaak. Leaflets with a short stalk, but winged so that stalk obscured. Aagimaak typically inhabits upland hardwood and hardwood-conifer forests, where it is a frequent but usually minor component. Here it often grows with ininaatig (sugar maple), zhiishiigimiiwanzh (red maple), wiinizik (yellow birch), wiigobimizh (basswood), mitigomizh (northern red oak), maananoons (ironwood), gaagaagiwanzh (eastern hemlock), and aninaandag or zhingob (balsam fir). Aagimaak sometimes inhabits floodplains also. Leaves have 5-7 leaflets (rarely 9). Leaflets somewhat whitish underneath, not pubescent. Leaflets with a distinctive stalk up to 0.2 inch long. As with all the inhabitants of Ashkaakamigokwe (Mother Earth), the ash beings have certain responsibilities to the rest of creation. They provide browse, thermal cover, and protection for a variety of wildlife, including white-tailed deer and moose. Deer browse heavily on black ash leaves and twigs. Beaver, rabbits, and porcupines feed on the bark of young trees. A variety of ducks, song birds, small mammals, and insects feed on ash seeds. Ash also support some of the tiny beings that many of us never think about, but that we couldn't live without. 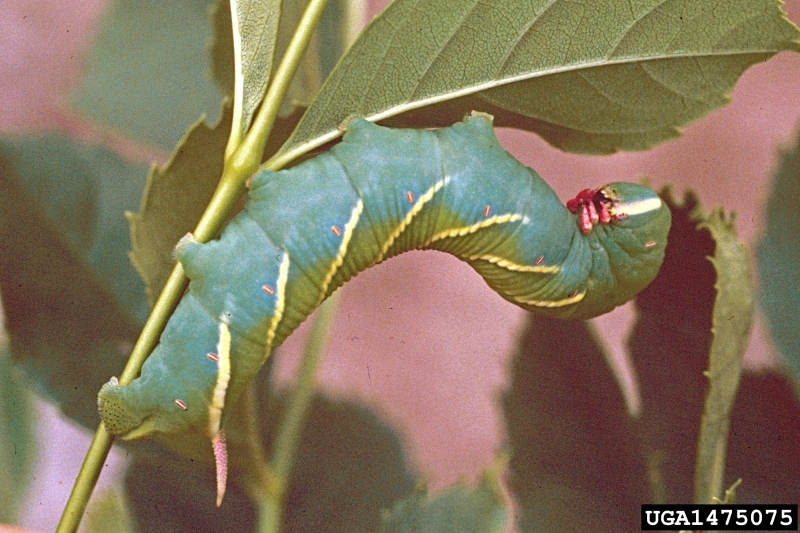 Some 280 native and introduced insects, mites and other arthropods are associated with North American ash, and at least 43 of these creatures are known to require ash for feeding or breeding purposes. The loss of these beings will likely impact other tiny forest inhabitants, including specialized bacteria and fungi, and various parasites and predators. September 1946, Nett Lake Indian Reservation. 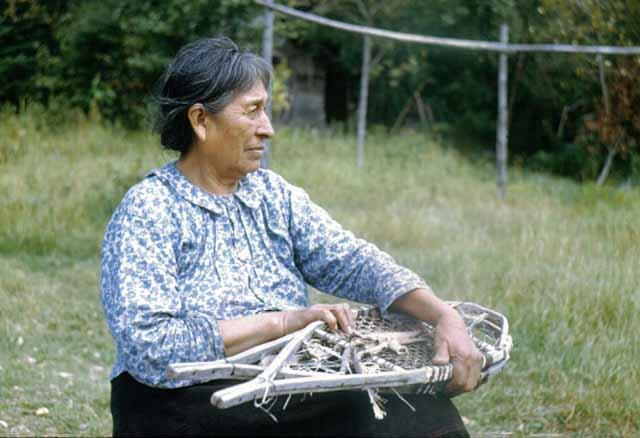 The Ojibwe tradition of black ash basketmaking goes back centuries. Traditionally the men would perform the hard physical work of cutting down an baapaagimaak tree, removing the bark and pounding the trunk until the rings separated into strips. The women would then scrape and split the strips into smaller strips if needed, soak them until pliable, and skillfully weave the makakoon (baskets). Late ziigwan (spring) and early niibin (summer) is the best time to harvest baapaagimaak. After selecting a tree for possible harvest, the harvester tells the tree what it is needed for, and asks its permission to be harvested. An offering of asemaa (tobacco) is given, and (if the tree agrees) it is harvested. The first step in processing is to remove the bark from the log. The log is then pounded with a blunt, heavy object, causing the annual growth rings to separate. The outer strips can then be easily pulled from the log, and split into narrower strips if necessary. This pounding and peeling is repeated until all the usable strips are removed. While newcomers to black ash basketmaking can learn to make smaller, simpler baskets in a few days or weeks, it takes years to become proficient at this skill. Baskets woven from baapaagimaak are strong, lightweight and durable. They can be used for a variety of tasks ranging from berry-picking to storing cooking utensils. Others are simply treasured for their beauty. Baskets can also be made from the bark of ash, cedar or (uncommonly) other trees. Paper birch is often used to make quick utilitarian as well as intricate decorative baskets. Over the decades the number of skilled black ash basketmakers has dwindled. In recent years a resurgence has been taking place though, with younger, dedicated tribal members taking up the skill. They are learning not only how to make baskets but also the stories and traditions surrounding basketmaking, and teaching others what they know. Because of strength and durability, the Ojibwe traditionally use aagimaak (white ash) and emikwaansaak (green ash) for items that need to to hold up under heavy use, including snowshoe frames, toboggans, canoe ribs, canoe push-poles, fishing spearing poles and lacrosse sticks. The bark of ash can also be peeled in long sheets, and used to cover a dwelling or wiigiwaam. show some of the possibilities of this age-old technology. According to Lac du Flambeau tribal member Greg Johnson (LDF TEK interview, May 2014), aagimaak is still used to make lacrosse sticks, snowshoe frames, traditional dikinaagan (cradle boards), spoons, knife handles, drumsticks, and other items. Aagimaak is also used for spiles (taps for sap) and sometimes for the cross braces on the wiigwaasi-jiimaan (birch bark canoe). 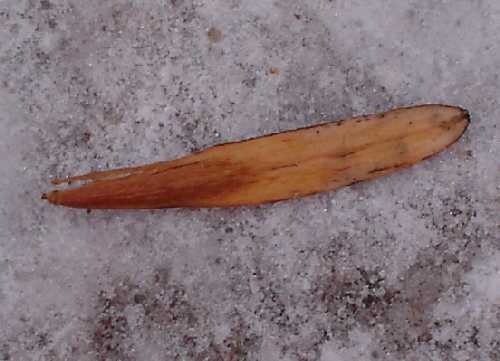 The outer sapwood is used for lacrosse sticks, drumsticks and cradleboards. Hunting bows are also made from aagimaak (Jason Peterson, LDF TEK, May 2014). Johnson said that the grain of emikwaansaak is pretty much the same as aagimaak, and can used in much the same way. Ash trees that are straight and about 10-12 inches in diameter are preferred for most uses. A delightful story of one budding black ash basketmaker and the art and craft of black ash basketmaking today. This is the go-to site for accurate and up-to-date information on emerald ash borer biology, impacts, distribution, management and control in North America. Don’t miss the dozens of excellent EAB University webinars on cutting-edge EAB management and control by scientists, land managers and others. 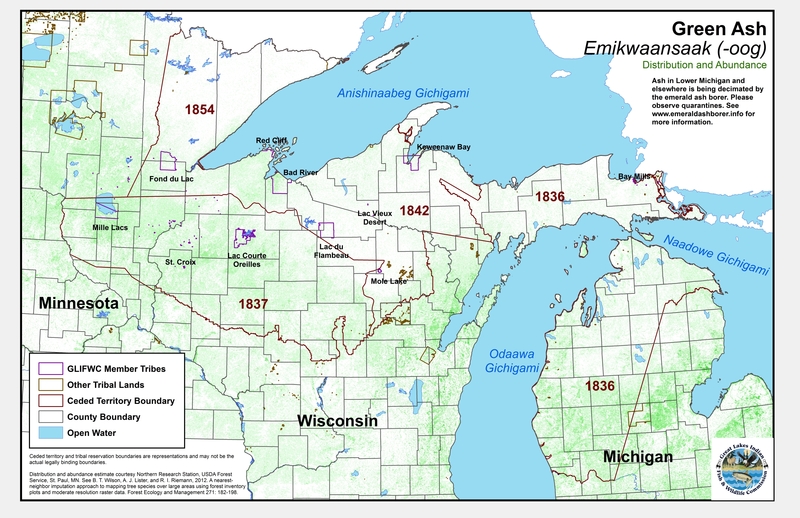 This site provides a "key" for identifying all the ash species known from the wild in Michigan (and the Ceded Territories). Click the species names to read summaries, photos and Michigan range maps of each ash species. 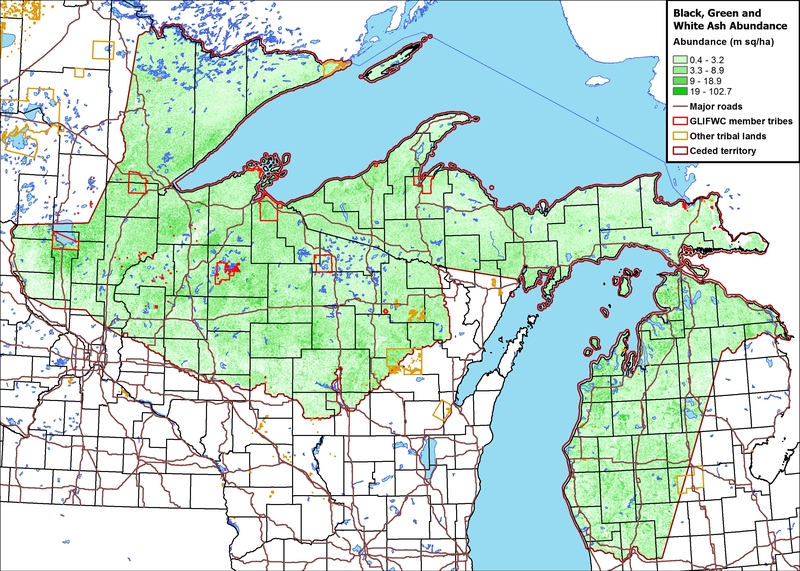 The starting point for information on forest invasives in Michigan. Links include “Invasive and exotic species in Michigan” “What’s hot with the EAB”, “Michigan quarantines”, and “Pine Shoot Beetle Compliance Management Program”. Lots of useful resources and concise, eye-catching fact sheets. The starting point for learning about and dealing with EAB in Minnesota. Flora of Wisconsin. 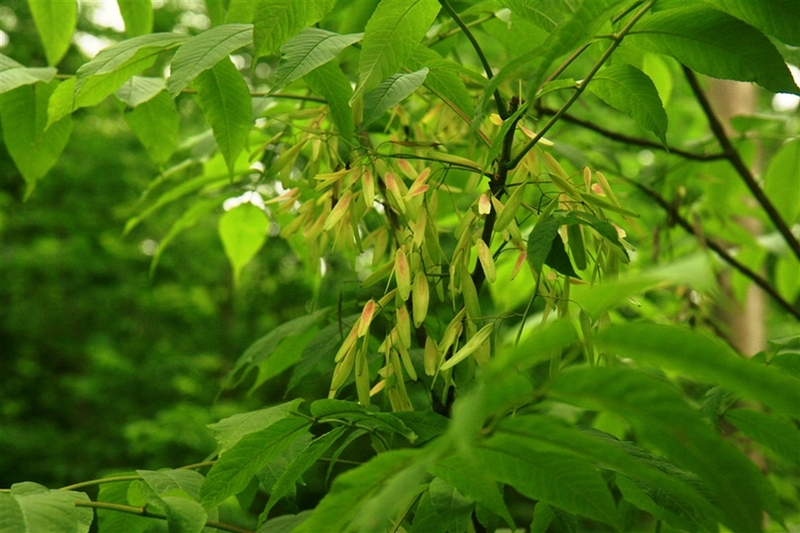 Fraxinus spp. This site includes all the ash species known in the wild in Wisconsin. 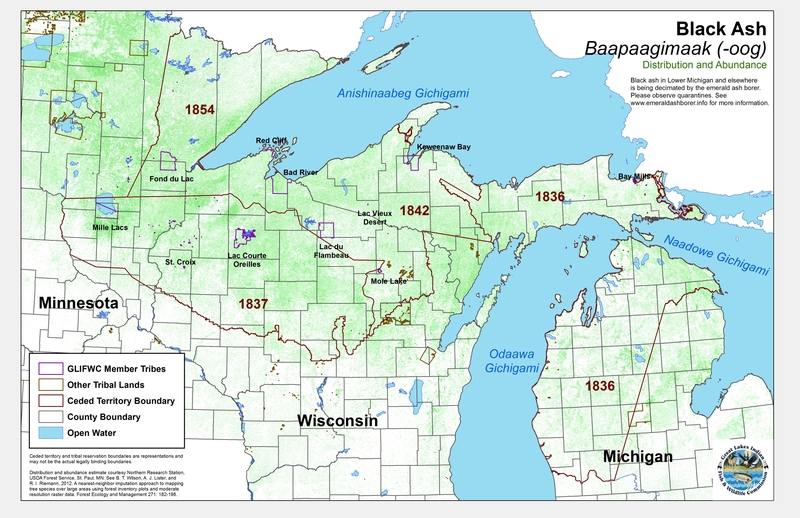 Click the species names to read summaries, photos and Wisconsin occurrence maps of each ash species. Information about emerald ash borer identification, locations, management, laws and much more. Cappaert, D., D. G. McCullough, T. M. Poland, and N. W. Siegert. 2005. 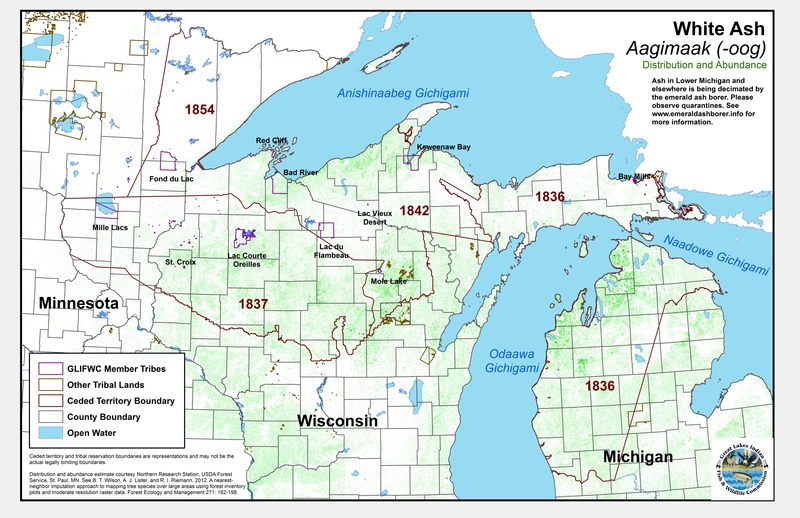 Emerald ash borer in North America: A research and regulatory challenge. American Entomologist 51 (3): 152-165. Densmore, F. 1928. Uses of plants by the Chippewa Indians. Smithsonian Institute: Bureau of American Ethnology Report No. 44: 273-379. Gandhi, K. J. K. and D. A. Herms. 2010a. North American arthropods at risk due to widespread Fraxinus mortality caused by the alien emerald ash borer. Biological Invasions 12 (6): 1839-1846. Geniusz, W. M. 2009. Our knowledge is not primitive. Decolonizing botanical Anishinaabe teachings. Syracuse University Press, Syracuse, NY. 214 p.
Rabaglia, B. and P. Chaloux. October 2011. National response framework for emerald ash borer. USDA Forest Service and USDA -APHIS. http://www.fs.fed.us/foresthealth/docs/EAB_National_Framework.pdf (August 11, 2013). Wright, J. W. and H. M. Rauscher. 1990. Black ash. In: Silvics of North America. Volume II: Hardwoods. USDA Forest Service, Agriculture Handbook 654. http://www.na.fs.fed.us/spfo/pubs/silvics_manual/volume_2/fraxinus/nigra.htm (2016 January 19).